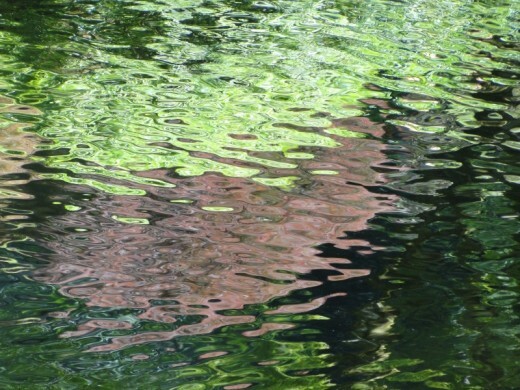 Reflections from Portland’s Japanese Garden. Photo by Wayne Senville. Individuality; distinctiveness; sense of place -- whatever you want to call it -- it's what makes a city interesting to residents and visitors alike. "Land use planners have spent too much time focusing on numbers: the number of units per acre, the number of cars per hour, the number of floors per building, and not enough time on the values, customs, characteristics, and quirks that make a place worth caring about." … when it comes to 21st century economic development a key concept is 'community differentiation.' If you can’t differentiate your community from any other community, you have no competitive advantage. … To foster a sense of place, communities must plan for built environments and settlement patterns that are uplifting and memorable -- and that create a special feeling of belonging and stewardship by residents. … It is about helping communities adapt to change while maintaining or enhancing the things they value most." Portland surely ranks high among cities that have a strong sense of place. It starts with how Portland builds on its natural setting and topography, instead of ignoring (or obliterating) it. In fact, in some cases Portland has had to "rediscover," so to speak, its natural setting: for example -- as I noted in earlier posts -- by developing a riverfront park where a freeway used to run, or creating a "natural park" that restores, in a contemporary way, the natural cycles of a block of urban land. 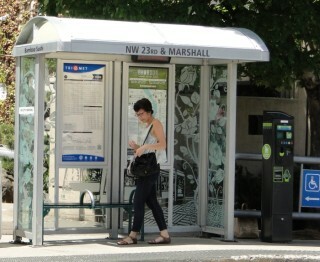 In terms of its built environment, Portland meets McMahon's call for places to be "uplifting and memorable." 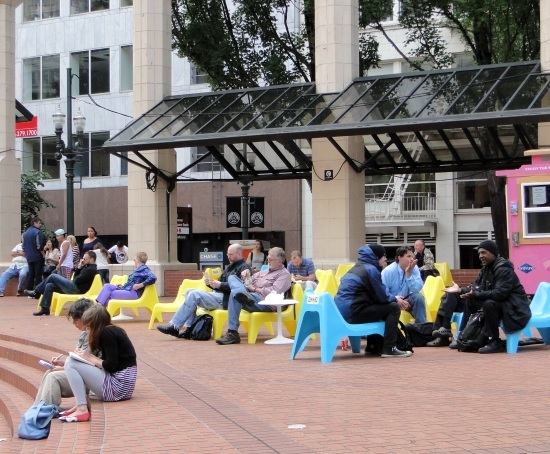 At its heart the city has an active, well-designed public space: Pioneer Courthouse Square. 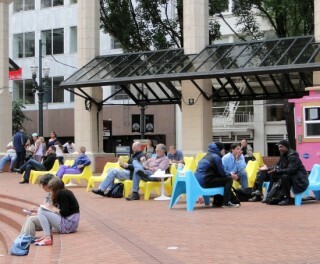 Pioneer Courthouse Square, called the city's "liviing room," is in the heart of downtown Portland. 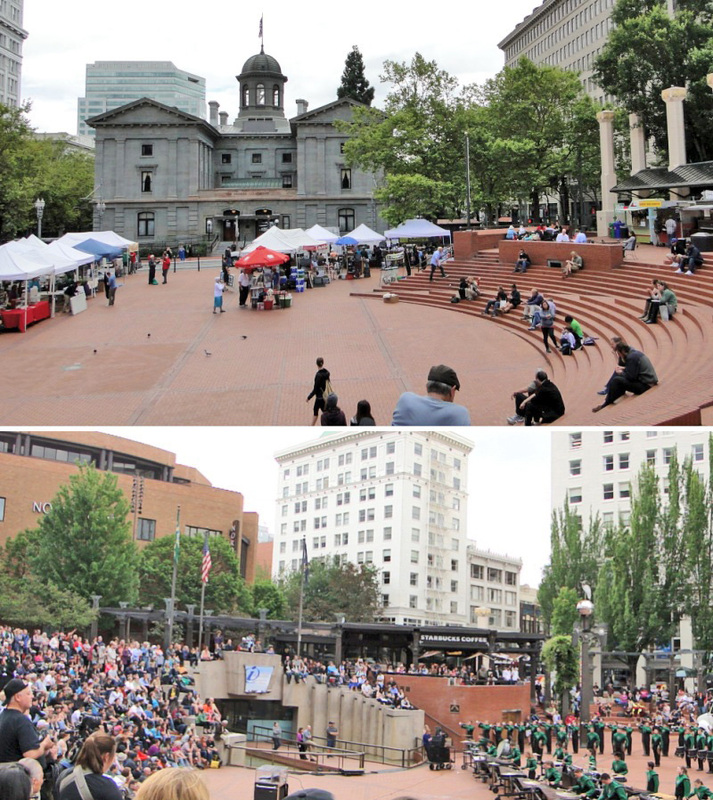 The old 1875 Pioneer Courthouse can be seen in the top photo. Community activism, through projects like intersection repair and strong neighborhood associations, have helped maintain -- and strengthen -- that ""special feeling of belonging and stewardship by residents" that McMahon also identifies as key to a sense of place. In my first post in this series about Portland, Nancy Hales of First Stop Portland spoke about what she called Portland's "green sector" -- that's the growing sector of the Portland area's economy that is focused on green technologies, renewable energy, and so on. The next post, reporting on Portland planning director Susan Anderson's talk, also highlighted this. Anderson spoke about "the circular nature of having a more sustainable community and being prosperous doing so." See pointed to examples of how the city's focus on sustainability has also been a good economic development strategy, leading to job growth in the green sector. This, in turn, has drawn more innovative entrepreneurs -- not to mentions lots of talented young professionals -- to Portland. The Portland region attracts YCE's at some of the highest levels of any metro in the United States. And they keep those YCE's at high rates too. The number of YCE's migrating to the Portland metro consistently exceeds expectations given the region's labor market conditions. Florida goes on to note that Joe Cortright, President and principal economist for Impresa, a Portland consulting firm, "also points to the high and growing level of entrepreneurship among young, talented Portlanders: 'the number of 25-39 college educated [people] running their own businesses is about 50 percent higher than the average for large metros,' adding that 'this high degree of entrepreneurship is a positive for the regional economy. It also shows a strong DIY culture: if the economy doesn't provide you a job, make your own.' "
I wrote earlier about how Portland's zoning code now provides developers building housing and mixed-use developments along transportation corridors a quicker path towards project approval. But this means complying with a quite lengthy set of design standards. 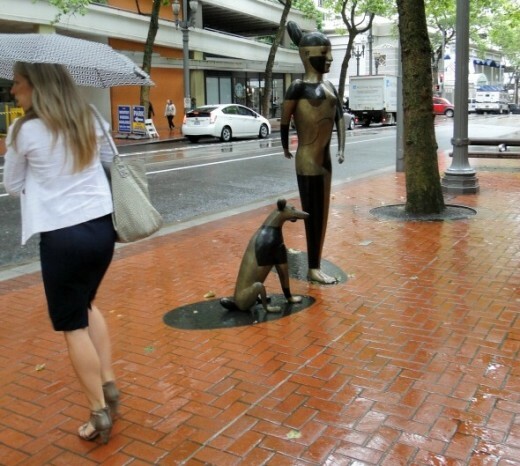 Portland cares about its built environment. I'm not an architect and don't have specialized training in urban design. But to me, new development in Portland seemed a notch in quality above what you'd find in most other cities. Not every building, but overall. 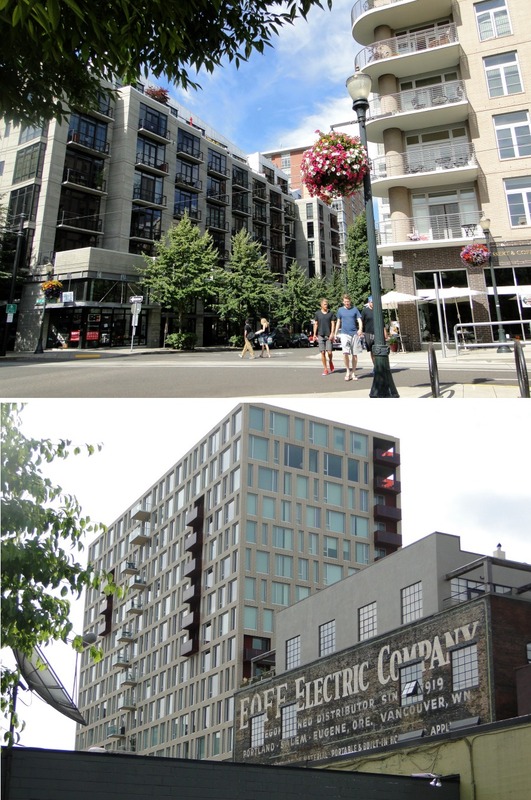 Two of the many new buildings in Portland's Pearl District just north of downtown. 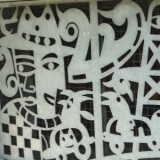 In Portland, it often seemed to be in the details. 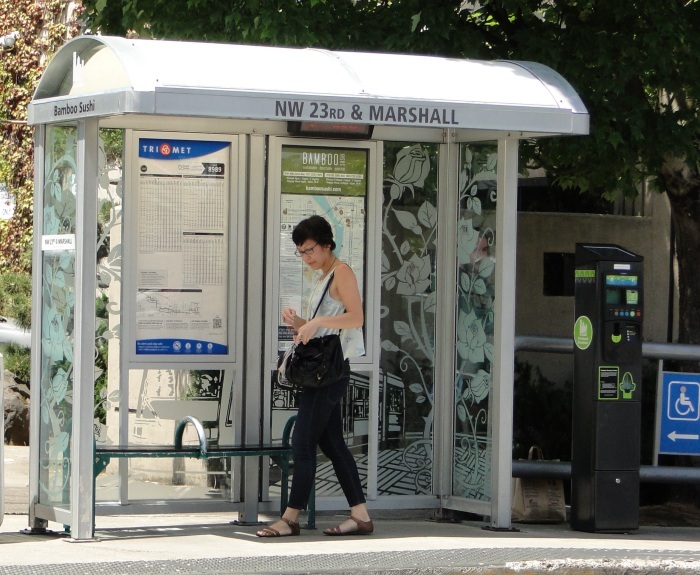 Even something as mundane as a transit shelter can become a thing of beauty, as is the case with Portland's streetcar stop shelters, such as the one on the left. Elements of art and design were often integrated in new buildings (or in buildings converted from warehouse uses, as in Portland's Pearl District) -- even in the way underground parking in the building below is screened from the sidewalk and street. Then there are the details that are among the "quirks that make a place worth caring about," as Ed McMahon put it. I mentioned a few in an earlier post, here a just a couple more. 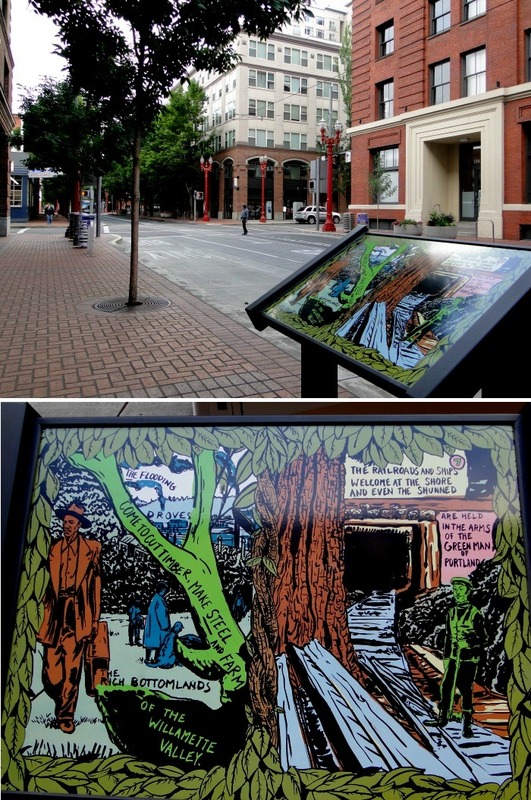 One of a series of signs that speak to Portland's history -- in a unique way. 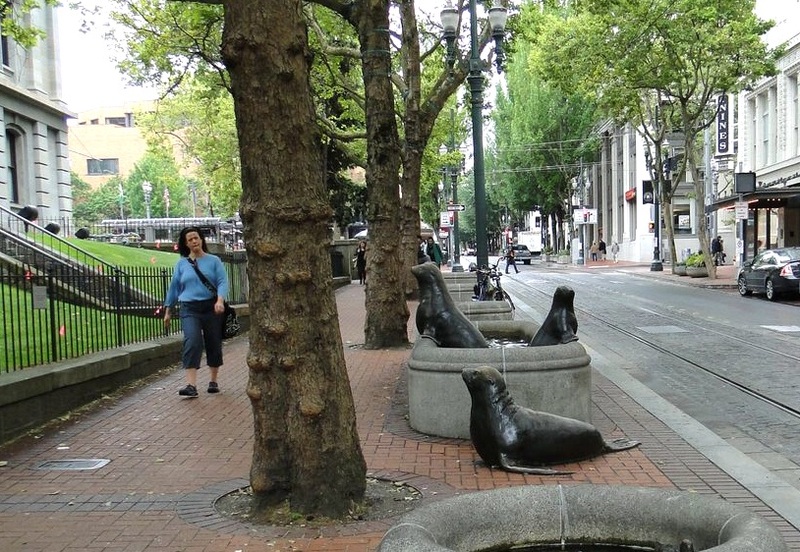 Playful seals frolic downtown -- while the dog & native American (below) reflect on the passing scene. Being in Portland for ten days is far too short a time to evaluate a question like this. I spoke with a number of Portlanders both during the International Making Cities conference and after it (albeit, mainly planners or individuals interested in planning). They love their city and how it works, often mentioning the points I've highlighted over the last few days. But on heading to Portland's Union Station for the short rail trip to Seattle, I asked our taxi driver what he thought. To paraphrase, since I didn't have my notepad out: "I grew up here, but Portland's changed. My work's fine, but you can't afford to live here. It's just become too big a city." 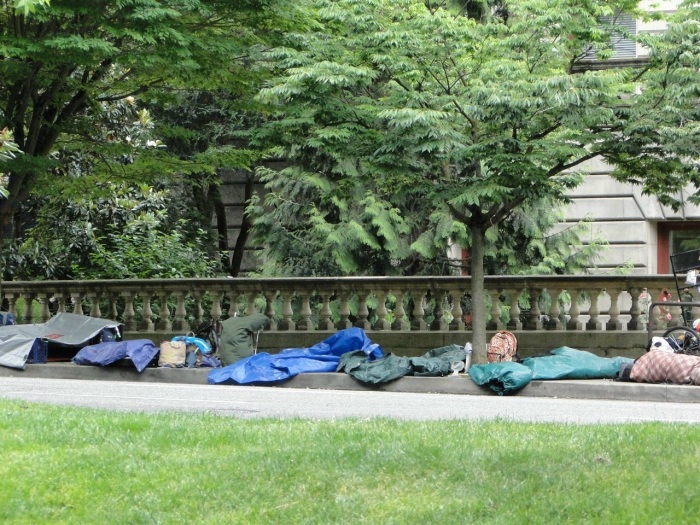 I also saw many homeless individuals. Obviously a big problem facing Portland, 3 as well as most all cities. My apologies that I didn't focus on problems like homelessness or the cost of housing. But these are issues, I promise you, we'll be reporting on in the year ahead here on PlannersWeb. Live or work in Portland? Visited the city? What are some of your own reflections? Join us on our LinkedIn group page.